I am having some difficulty trying to figure out how the recipes and ingredients work. It the ingredient list a list of pantry/grocery items. or is it the list of ingredients and amount for the recipe? I can’t find measurements like cups, teaspoons, tablespoons, etc. Which are normally used for recipes. So I am assuming that this ingredient list is for me to link products in my favorite and pantry. Therefore I use the text to see how much I actually need? If so, how will I ever know if I have enough at home to make said recipe without looking up each recipe it is or will be used in that week? Once I figure this out I am off to figure our meals and plans. Selena, first of, please have a look at Tiffany’s comment regarding units in recipes. To sum up, for planning to work, units in shopping list, pantry and recipes should match for a given product. So if for instance you decide to shop for milk in gallons, your item in shopping list, pantry and recipe should have gallon as units. You still can use cups in Comments field in recipes for your convenience when you cook. We plan to add units conversions going forward to make it easier to use Meal Planner. Just I see one issue – I don’t know if you would agree with me but I think that app should use generic names of the components instead of “real” components. An example: I’ve added “John’s pepper” to my receipe but I don’t have it on my pantry, but I have “Wendy’s pepper” that is the same component just with different name, so this receipe is “redy to use” for me but according to Mighty Grocery it’s not. Correct me if I’m wrong (I’ve just started using it). Slawek, thanks for your feedback. Kindly note that you can assign Generic name to items (Edit item > long-tap Name field > Generic name) and the app will use it to a certain extent such as price compare. We will improve the app going forward so that the app would give correct status for the scenario you described. Please let me know if you have any further questions or comments. Hi, I am interested in your app. 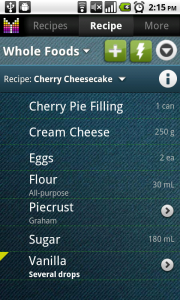 I am particularly interested in an Integration of recipe manager, pantry msnager and shopping list. No one seems to have this available. I currently use My Cookbook for recipes and shopping because it is so strong on Web capture of recipes. I use Put of Milk for ad – hoc shopping not related to a recipe. I have no pantry management. If you crack the integration of these three with best of breed in each area I think you will have a killer app. However, I have a question re your recipe management function. Does it support easy Web capture comparable to My Cook Book? Second, does it support import/export of recipes in standard popular formats? Without these two things it us not worth my even trying your app as I am never going to manually enter my collection of recipes, or manually enter new ones from the Web. Cheers. John. John, unfortunately, there is no recipe import feature in the app yet, but we plan to add it in the future. Keep your eye on our Twitter to see when it becomes available. Kelly, thanks for your feedback. Unfortunately, fractions are not supported so you’ll have to use 0.66 instead of 2/3. We will consider adding fractions for ingredients going forward. Hi, first Mighty Grocery is a great app. Thank you for that. The synchronize shopping lists works. 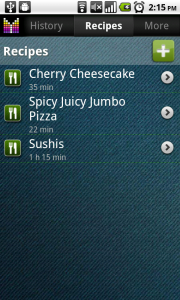 However, I would still synchronize my recipe list of smartphone (Mighty Grocery) on the tablet (Mighty Grocery). Sorry, but I can not find any function. Is a transfer possible? If so, how? Hi Dominik, thank you for contacting us. 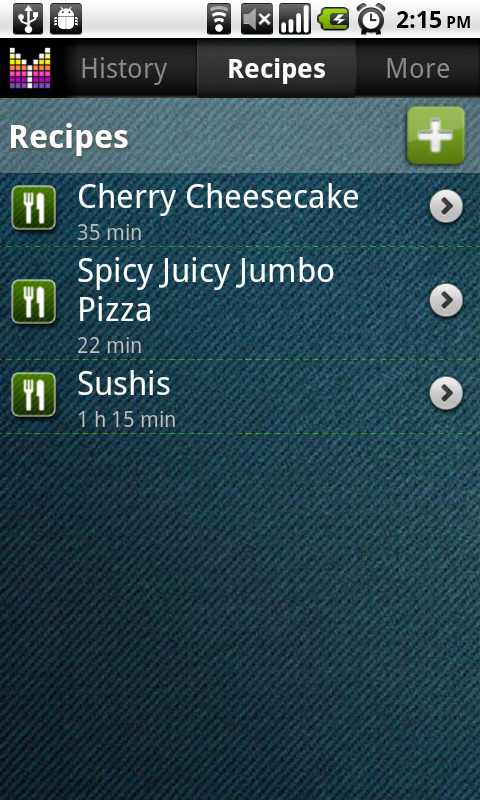 Unfortunately, syncing recipes is not available, but we plan to add this feature in the near future. The only option to transfer recipes between your devices is create backup on cloud on one handset and restore backup on another. For more details please see Sync with Cloud User’s Guide. This prevents me from adding all my ingredient to a liste at once. Also there is a + sign in my checkboxes. i dont know where that comes from. maybe it has somethign to do with it? Hi Charles, thank you for your feedback. Sorry about the confusion. This section of users guide has just been updated. 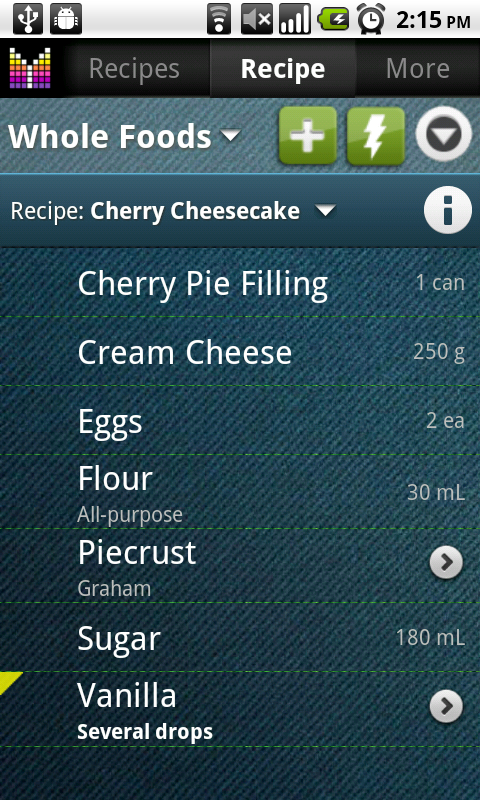 In the latest version of Mighty Grocery the app was changed in favour of the new Pantry and Meal Planner features. You can use checkboxes with + signs to add ingredients to your shopping lists. You can also tap item and choose “Copy to” from pop-up menu. Another option is “Add selection” command available in Side menu. You may also want to consider using the Meal planner future. Where do I find the add all option after the latest upgrade? If I tap any ingredient, there is now just another context menu to alter or copy the ingredient. It’s too bad, if I can’t add the whole recipe to my shopping list anymore. Hi Joern, thanks for your question. We changed the behaviour in favour of better support of Pantry and Meal Planner features. Thanks for your opinion, we will consider it for future changes. I would LOVE to be able to import recipes from my favorite websites (allrecipes.com or food.com for example), so that I can menu plan AND grocery shop all in one! Also, being able to add recipes via the website would make copy/paste from these website easy, as well, and speed things up! Kermi, thanks for your feedback. We will consider importing recipes from other popular sites going forward. I love this feature. One issue though, many recipes divide the ingredient list up. For example a filled cupcake recipe may divide the ingredient list into 3 sections; 1 for the cupcake, 1 for the filling, and one for the frosting. I see no easy way to show this in the current recipe function. This becomes especially important when sharing the recipe and when an ingredient is listed twice because it is used in multiple steps. The other app I looked at that does currently do this, specifically for recipes, is Paprika. 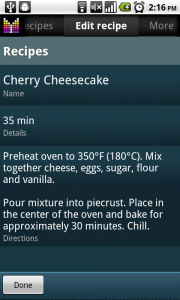 You can see an example on their page of the recipe layout in screenshot #2. Jaime, thanks for your feedback. We will consider breaking ingredients into sections going forward. In the meantime you may want to use manual sorting to group ingredients logically. I love the recipes feature! I can share a recipe via text or email no problem, but when I try to share to Facebook my post is empty. I’d love to post my recipe to FB without having to retype it. Hi Michelle, thanks for your feedback. We will see if posting to FB can be fixed going forward. Please let me know if you have any further questions or comments.